Information about Master Composter training course. 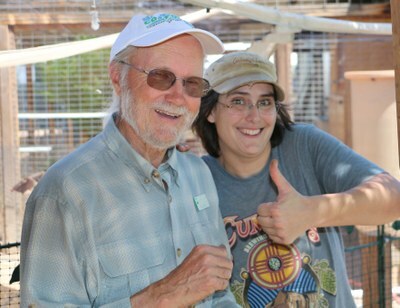 The Bernalillo County Extension Master Composters are now accepting applications for the Spring 2019 Master Composter Volunteer Training Course. The course consists of about 25 hours of lecture, demonstration, and discussion. Applicants should have current home composting experience (any method) and they must be willing to commit to teaching home composting in the community after course completion. Orientation for the training will take place Wednesday, April 3, from 6:30 to 9:00 pm. Training will be held on the following Saturdays from 8:00 am to approximately 3:00 pm: April 6, 13, 20, 27. The application deadline is March 15, 2019. For more information visit: nmcomposters.org/mc-training.html.